While this post touches on culture, freedom and offense – and of course dance music – its hero is buried in the story as I imagine he’d prefer. Ron Coleman’s writing and good spirit has been an occasional inspiration and benefit of working on this blog. Arguing on constitutional grounds is a long and heavy climb. 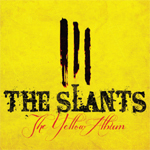 Congratulations to Ron and The Slants. Any friends of Ron have special standing here. Cheers.